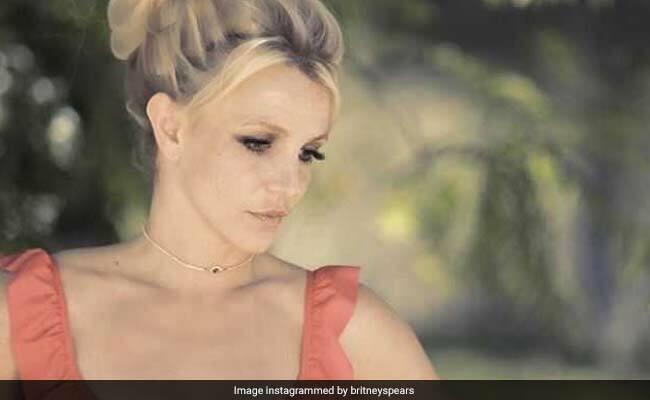 Her boyfriend Sam Asghari praised her "strength"
Singer Britney Spears' boyfriend Sam Asghari praised her "strength" after she checked into a mental health facility. On Wednesday, it was reported that the Baby One More Time singer checked into a mental health treatment facility as she continues to cope with her father Jamie Spears' health scare. Britney broke a months-long social media hiatus and wrote on Instagram on Wednesday: "Fall in love with taking care of yourself. Mind. Body. Spirit." Despite everything that she has been grappling with for the past few months, a source told eonline.com that Sam Asghari has been an important piece of support for the singer. "Sam has stuck by her side throughout all of her recent struggles and knows that this is just a phase in Britney's life that they will have to adjust to right now," the source said. The source said that Asghari has been "very helpful in making sure Britney did whatever she needed to feel better". That included him checking in on her and being "by her side". The 25-year-old praised his girlfriend on social media after news broke that she was seeking treatment. "It isn't weakness," he wrote on his Instagram story. "It's a sign of absolute strength, people should only be inspired by this, at least I am."